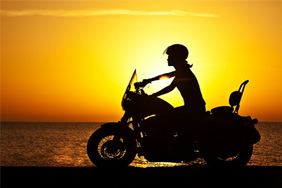 Finding the right motorcycle insurance, let alone ensuring you’ve taken out the correct level of cover, can be a daunting task. Luckily we’ve put together an easy read guide to make sure you get the right cover for your bike. 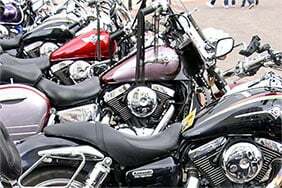 What are the different types of motorcycle cover? This is the most basic level of cover you’re required to have by law in the UK. It may be the most affordable level of cover for riders, and it essentially covers damage or injury to third parties only. While it is seen as a more affordable option, it’s always worth doing your research around a policy plan that suits you. All the benefits of Third-Party Only Insurance, plus cover against theft or fire damage. This does not cover any other damage sustained to your bike, but you may be able to claim through the insurance of the individual who potentially damaged your bike. Please note that the damage would need to be at fault of the other party for your claim to be accepted. All the benefits of TPFT, but you’re also covered for damage to you and your bike (depending on the policies laid out by your insurance provider), including vandalism and accidental damage. This also covers medical expenses you may incur in the event of an accident that causes injury to yourself. Your insurance provider may also provide you with a courtesy bike, should yours need a number of repairs. This isn’t always the case so if it’s something you care about, it’s best to check with your insurance provider and its policies. Please note that this level of cover is currently not available through Confused.com. Need to change your insurance policy? Here’s how. 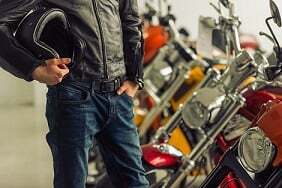 What are the different classes of motorcycle use? This level of cover is for bike owners that only use their bike for personal and private use. This also means they don’t use their bike for work, including commuting. This level of cover insures riders that use their bike for social, domestic or pleasure purposes and for travelling to and from one place of work. You can only have one place of work applied to your policy, which should be your most regular place of work. If you travel to more than one place each week, you should consider business use cover. This cover is for if you travel to more than one location for work, which includes any work-related destination (e.g. for commuting to a training course). Are you a food delivery driver? Or an on-the-go courier dropping off parcels in your local area? This cover is for you. For most insurance providers, this also includes door-to-door sales and other postal services. Please note that this level is cover is not available through Confused.com. Why do insurers need to know this? Insurers produce the most accurate premium for your bike and situation from a series of calculations and research on each kind of bike owner. Research is gathered from many different areas, including previous claims and the nature of your job. Categorising your bike use allows insurers to provide you with the best options for your situation, but it’s important to inform your insurer of any change to your circumstances (e.g. a change of job). In the event of an accident or other issue that requires making a claim, you must pay the excess to be able to fulfil a successful claim. Voluntary excess is an amount chosen by you to pay back in the event of a claim. Usually, the higher the excess you agree to pay out, the cheaper your policy. As well as a voluntary excess, your policy will also include a compulsory excess. This is set by the insurer and is combined with the voluntary excess to give you a total excess you’d need to pay out in the event of a claim. As an example, if you chose a voluntary excess of £150 and your compulsory excess was £250, the total excess you’d pay when making a claim would be £400. As well as the main areas of an insurance policy to consider, there are other factors that can influence the price you pay for insurance: If you’re locking your bike up in a secure area like your personal garage or a private drive way, you’re more likely to see your premium turning out cheaper than those who park on the street. Look at the security options you can get for your motorcycle. Other rating factors, including your age, the engine size and model of your bike, among others, all affect the price of your policy. Whatever your circumstances, it’s important to be as explicit as possible to your insurer so it can build the correct plan for you. Not only will you get a more accurate quote, your policy may become invalid if you have failed to provide the correct information. 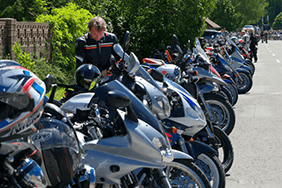 Compare cheap quotes from up to 40 motorbike insurance providers today! Looking for a specific provider? 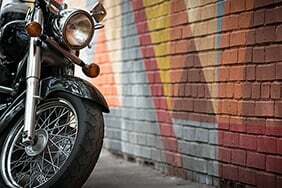 Compare quotes from up to 40 motorbike insurance providers. 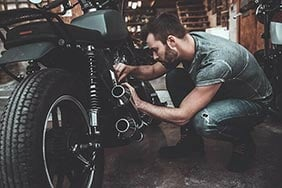 How can I get cheaper motorbike insurance? 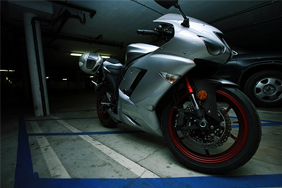 Before you get covered, it helps to know just what factors make up your bike insurance price. 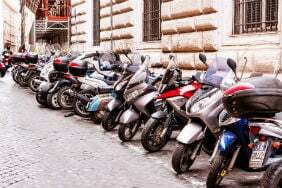 The law says that motorbikes must be insured at all times, or you have to get a SORN. Which works for you? Know your mopeds from your nakeds with our guide to the different types of motorbike! As a legal requirement, passing your MOT is important. Here's how you do so with flying colours. Find out what you should do if you need to make a claim on your bike insurance. Here's all you need to know to pass your bike test with flying colours. Learn about the range of advanced rider schemes you can use to improve your riding style. We take a look at how to insure 125cc motorbikes.